Louis JUDICE, age 36, Jeanne CANTRELLE, wife 30, Louis, son 13, Michel, son 7. Pierre ARCENEAUX, age 36, Anne BERGERON, wife 26, Rosalie, daughter 2, widow BERGERON, mother-in-law 63, widow BERGERON's sister-in-law, 23, widow BERNARD, sister 40, Firmin ARCENEAU, orphan 13. Pierre ARCENEAUX, age 31, Marie LICOURT, wife, 22, Usebe, son 4, Pierre, son 1. Joseph LANDRY, age 26, Joseph, son 3, Pierre, son 2. Bonaventure BELLEFONTAINE, age 51, Marguerite BERGERON, wife 43, Bonaventure, son 13, Michel, son 10, Theotiste, daughter 17, Marie, daughter 15. Charles BERGERON age 38, Isabelle ARCENEAUX, wife 33, Simon, son 13, Jean Theodore, son 4, Marguerite, daughter 3. Widow MELANSON, age 35, Jean Baptiste, son 11, Jean, son 4, Marie, daughter 13, Nastasie, daughter 7. Jean Baptiste BERGERON, age 44, Marguerite BERNARD, wife 37, Jean Baptiste, son 16, Marin, son 12, Mathurin, son 10, Marie, daughter 14, Theotiste THIBODEAUX, Widow GODIN, 26, Barbe, daughter 5. Charles GAUDET, age 36, widow GAUDET, mother 63, Rosalie, sister 27. Anathase BRAUD, age 31, Marie LEBLANC, wife 22, Joseph, son 3, Nastasie, daughter 1. Joseph LEBLANC, age 48, Isabelle GAUDET, wife 47, Joseph, son 16, Gilles, son 9, Anne, daughter 18, Isabelle, daughter 13. Simon GAUTREAUX, age 28, Magdelaine BRAUD, wife 23, Louis, son 2 mo. Marcel LEBLANC, age 32, Marie BREAUX, wife 29, Marguerite, daughter 3. Amand PREJEAN, age 42, Magdalaine MARTIN, wife 38, Marin, son 16, Joseph, son 6, Andre, son 1, Nastasie, daughter 15, Anne, daughter 14. Joseph PREJEAN, age 34, Marguerite BOREL, wife 24, Jean Baptiste, son, Victoria, daughter 6. Charles PREJEAN, age 30, Marguerite RICHARD, wife 21. Joseph RICHARD, age 50, Anne BLANCHARD, wife 40, Marie, daughter 6, Rosalie, daughter 3, Anne, daughter 10 mos. Charles Claude DUHON, age 30, Marit PREJEAN, wife 26, Jean Baptiste, son 6, Marguerite, daughter 2. Claude DUHON, age 30, Marie VINCENT, wife 27, Paul DUHON, orphan 12. Honore DUHON, age 50, Marie VINCENT, wife 53, Jean DUHON, son 19, Francois, son 17, Perpetus, daughter 21. Etienne LEBLANC, age 43, Elizabeth BOUDREAUX, wife 45, Simon, son 22, Etienne, son 15, Mathurin, son 12, Joseph, son 5, Marguerite, daughter 19, Magdalaine, daughter 8, Marie, daughter 1. Bruno ROBICHAUX, age 41, Anne BROUSSARD, wife 34, Firmin, son 15, Bruno, son 2. Charles FOREST, age 40, Marguerite SONNIER, wife, Paul, son 20, Anselme, son 15, Charles, son 2, Marie, daughter 6, Marguerite, daughter 4, Marguerite, niece 20. Joseph MARANT, age 37, Angelique DUGAS, wife 30, Joseph AURION, nephew 18, Marguerite AURION, niece 17. Francois DUGAS, age 26, Charles DUAGS, nephew 16, Michel DUGAS, nephew 14, Anasthase DUGAS, nephew 13, Theodore DUGAS, nephew 8, Rose DUGAS, sister 17. Nastasie DUGAS, widow ROBICHAUX, age 27, Henry, son 6, Jean Baptiste, son 4, Marie, daughter 2. Mathurin LANDRY, age 29, Catherine QUESSY, widow BERGERON, 30, Jean Baptiste, son 12, Charles, son 10, Magdelaine, daughter 16, Ositte, daughter 14, Joseph QUESSY, brother 21. List of the inhabitants on the left bank of the River (Missippi) from Joseph's Plantation to the village of the Alibanmon Indians. Joseph HEBERT, age 26, Francoise HEBERT, wife 21, Louis, son 2, Jean Charles, orphan 15. Claire ROBICHEAUX, -widow HEBERT, age 52, Mathurin, son 12, Marie, daughter 16, Theotise, daughter 13, Jean Louis HEBERT, grandson 3, Agnes HEBERT, -widow BERGERON, 24. Antoine LABAUVE, age 40, Anne VINCENT, wife 28, Marin, son 7, Baptiste, nephew 8, Pierre VINCENT, age 21. Joseph SAVOIE, age 37, Anne PREJEAN, wife 38. Charles SAVOIE, age 44, Judith ARCENEAUX, wife 30, Marguerite, daughter 7, Jean, son 3, Basile des ROCHES, orphan 12. Pierre BOURGEOIS, age 20, Michel BOURGEOIS, age 25. Joseph BOURGEOIS, age 30, Marie GIROIR, wife 28, Marie, daughter 14. Paul BOURGEOIS, age 34, Rosalie LEBLANC, wife 21. Michel POIRIER, age 28, Marie CORMIER, wife 20. Simon MIRE, age 22, Magdeline CORMIER, wife 22. Bellony MIRE, age 30, Francois PARRE, orphan 14. Joseph PART, age 28, Pierre PART, 16, Marie PART, sister 15. Barthelemy BELLEFONTAINE, age 31, Marie MARTIN, wife 32. Olivier PART, age 20, Pierre HEBERT, age 29. Pierre BERNARD, age 35, Marguerite ARCENEAUX, wife 31, Jean Baptiste, son 12, Marie, daughter 6, Pierre, son 8. Joseph BELLEFONTAINE, age 26, Marie FOREST, wife 18. 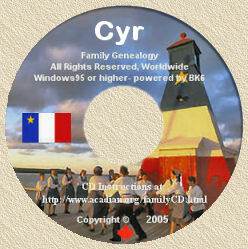 Jean ARCENEAUX, age 38, Judithe BERGERON, wife 32, Jean Charles, son 14, Joseph, son 12, Guillaume, son 8, Paul, son 4. Jacques BELLEFONTAINE, age 26, Baptiste BELLEFONTAINE, age 20, Pierre BRIOUD. Pierre FOREST, age 28, Anne DUPUEY, wife 25. Pierre CHAISSON, age 37, Ozitte LANDRY, wife 32, Michel, son 7, Marie, daughter, 1, Jean Baptiste, nephew 4. Joseph ARCENEAUX, age 26, Marie BERGERON, wife 21. Genevieve BERGERON, -widow d'ARMOUR, age 37, Charles, son 15, Baptiste, son 12, Francois, son 7, Ysidore, son 3, Nastasie, daughter 8, Suzanne, daughter 1, Marie DUGAS, -widow BERGERON, 55, Anne, daughter 17. Francoise MELANSON, -widow THERIOT, age 57, Thomas THERIOT, son 21, Ambroise THERIOT, son 18, Paul THERIOT, son 15, Exavier THERIOT, son 12. Joseph BOURG, age 26, Magdalaine, cousin 20, Marie, cousin 12, Joseph 13. Olivier BOUDREAUX, age 29, Simon, son 13. Joseph SONNIER, age 27, Anne BABIN, widow sister 25, Lize BABIN, daughter, Marie, daughter 2. Jean Baptiste THIBODEAUX, age 23. Anne DUPUY, widow age 41, Marie, daughter 15, Monique, daughter 12, Joseph DUPUY, nephew 15. Abraham ROY, age 35, Sauver, son 8, Marie, daughter 11, Catherine, widow LAFAYE, age 40, Marie MARQUIS, niece 16. Many interesting observations can be made from this census. Since it was dated April 9, 1766, it lists the first Acadians who came to the Cabahannocer section of the Acadian coast...St. James and Ascension Parishes, eleven years after the exile. There were many broken familes. They had been separated in the expulsion and many were unable to survive the hardships of their wanderings. There were many widows and orphans. Several very young boys are listed... Some as young as thirteen...with no family, but with a land grant and a gun. Almost all the grants were for six arpents fronting the river, but extending forty arpents back. It is particularly interesting to note the newly arrivals in this territory from the census taken three years later.